LINUX / UNIX: Adding a new SATA harddrive using parted instead of fdisk. 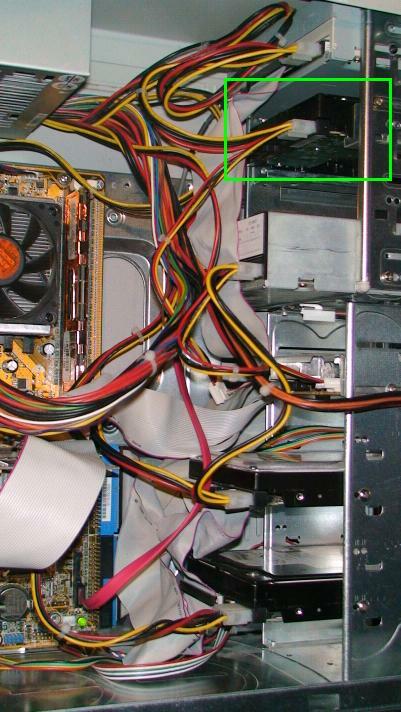 Here we'll go over how to connect, configure and format a SATA I / II hard drive on Linux. The intent for this drive ultimately was to share the drive through SAMBA between our home PC's and to hold home movies from the Sony HDR-SR7 camcorder I have. Ultimately, I will be using this drive and ffmpeg to convert movies from M2TS format to AVI format using the x264 codec available on Linux. I'll need the space. The motherboard supports Raid 0, 1 through SATA I (Version 1.0) however no SATA II (Version 2.0). No choice here. 1 Check if Linux can see the drive. If you get output similar to above, Linux can see your drive. Note that device /dev/sdc has been assigned to it. 2 Start partitioning tool on the device from step 2. Notice we used the parted print command to get some basic drive information including some old partitions still existing on the disk. WARNING: This step is not necessary if you have an empty drive. As in my case I have a number of old partitions I will need to remove. ANY DRIVE DATA ON THESE PARTITIONS WILL BE DESTROYED. 4 Create a new partition. Here, I was not interested in making a bootable filesystem. I was just interested in creating one large formatted disk partition for file storage and sharing purposes. 'mkpart' makes a partition without creating a new file system on the partition. FS-TYPE may be specified to set an appropriate partition ID. 5 Verify with fdisk that the partition exists and mount it. 6 Add the configuration to /etc/fstab to mount the drive everytime you start up. Granted, EXT2 filesystem really isn't the best choice here and when I have time I'll see if I can change that to either XFS, EXT3 or better yet, EXT4. Unfortunately, EXT3 and XFS were not available through parted. This entry was posted on Tuesday, July 28th, 2009 at 12:22 am	and is filed under NIX Posts. You can follow any responses to this entry through the RSS 2.0 feed. You can leave a response, or trackback from your own site.